As a multicultural and biracial familia, I was pretty clear about wanting to raise a bilingual child. Ah yes! It would be simple! I would speak to our child in Spanish and my husband would speak to him in English. Sound familiar? Yes, we were going to use the OPOL (One Parent One Language) method. However, things are not always as easy as they seem, right? You see, I had the desire but not a plan. I fell into the comfort of just speaking to our baby in English from the day he was born. After all, everyone spoke in English too! During our son’s 4-year-old annual check-up, his pediatrician excitedly asked, “Is he bilingual?” Those three words weighed heavily on me. Other than counting his numbers and the basic colors that he learned from Dora in Spanish, no, he wasn’t bilingual. That’s when reality hit me! I started to panic! Literally to panic! I felt that the precious years for my baby to learn another language from birth to 5 was quickly slipping through my fingers. What was I going to do? Was it too late? I started to strategize and make a plan. I started slowly by using the Language Boundary method from the book 7 Steps to Raising a Bilingual Child by Naomi Steiner. In this method, you use the target language during a specific situation, such as, time of day, location, or depending on an activity. I used this method during our bedtime story–speaking and reading to him in Spanish and then translating into English. Then I had the opportunity to enroll him in a weekly preschool Spanish language immersion program. He was learning Spanish with other monolingual children his same age. He was excited and eager to learn Spanish. This is when I went into full Spanish-speaking mode with my child. At home, I started using the OPOL method. 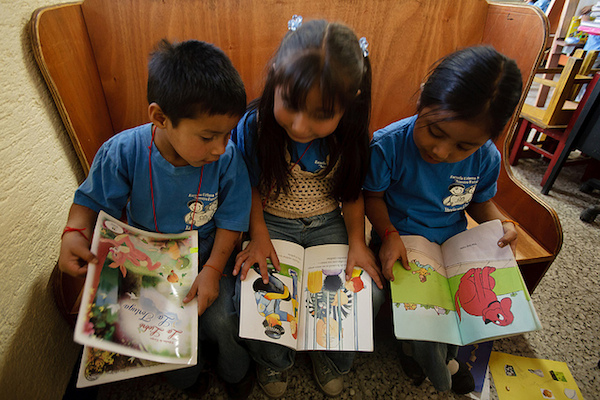 We read books, sang songs and played games, all in Spanish. I created opportunities for our child to speak Spanish, such as volunteering at his preschool summer camp a Spanish-language program and he was my little assistant. We also had the opportunity to spend two weeks in Puerto Rico during the summer immersed in a 100% Spanish environment. Today I reflect on this past year and our journey into bilingualism. Looking back my only regret was not having started his language learning sooner. Nevertheless, speaking from my own personal experience, I can tell you that it’s never too late to start your child’s language learning. Frances is a part-time blogger, mommy and wife of a beautiful multicultural familia. She has a Bachelor’s Degree in Business Administration with a certification in Human Resources. She blogs about heritage, culture, bilingualism, multicultural children’s books, and discovering the world through her son’s eyes. You can follow her at Discovering The World Through My Son’s Eyes. Why Should I Raise My Children Bilingual? Gracias Xochitl! So true, speaking English is so much faster, and easy! My wish is that with this post I will inspire others to never give up, and that it’s never too late! I had that desire too when pregnant with my first child. Then, she was born 100 days too soon, weighing just a little bit over a pound, and hospitalized in the NICU for 137 days. She’s now blind and doesn’t hear well. Instead of speaking Spanish to her, I had to use that time and energy to learn how to operate her in home oxygen system and learn Braille along with my Japanese husband. Then child number 2 joined our child with special needs…and then child number 3. Division of labor to teach two languages just never was high on the priority list, although I always wanted it to be. But we’re creative and life gets interesting. With both of us working full-time corporate tech management careers, we turned to an au pair program for our jn-home child care help, which turned out to be the best possible solution for 8 years. We have hosted young ladies from Peru, Panama and Germany. While our child with dual-sensory impairments has benefited the least from exposure to multiple languages , I can proudly say that now at the ages of 7, 9 and 12, all three of my kids can speak English, German, Spanish and Japanese words beautifully, although they currently have a limited vocabulary with the bonus languages. And I am okay with that. I’ve always known that the most important exposure at those young ages is to HEAR the language so the neural pathways in their brain are formed to hear those sounds. Throughout their entire lives they can now choose to add vocabulary to the languages of their choice. My blind child is especially in love with the Spanish language and she loves Braille in Spanish too (we have English/Spanish books with Braille added in our home now that she has access to an entire library of books in Braille.) When we traveled to Europe in the spring, she was excited to see that Braille also exists in German, Italian and French. So even with her extremely rocky start, I now have a child who is literate and multi-lingual and curious to add more to her knowledge of languages. I believe what’s important is to have mommies let go of their anxiety about bilingualism. It never is really is too late so please let that go. And now with cool apps, my kids are also building their Spanish vocabulary using our tablets (instead of only passing time playing games) and we love those language CDs at home. Thank you for reminding us all that it’s never too late. I hope my story about biracial children and gradual acquisition of multiple languages strongly punctuates your point! Graciela, your story is touching and encouraging! I really admire what you do for your children! Olena´s last post ..Three Languages Too Much For a Baby? 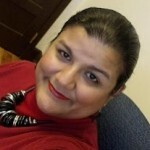 Graciela, your story is really uplifting, and inspiring! You’re definitely a role-model to be followed. I admire your tenacity, and dedication. I believe that your story will also serve to inspire others as I hope my story (far from yours) will also inspire them as well. ¡Abrazos! Thanks for your kind words. My life has been blessed in ways too numerous to count, so I do what I can to tell little stories about the experience through literature and blog posts. I’m happy to have connected with you, a kindred spirit, and bringing literacy and languages to our children. Frances, your story is an inspiration for many families, who think it is too late to teach child a second language! Thank you! Thank you Olena for your kind words! I’m so glad I started, even if it was a little late. I really enjoyed reading this and hearing how you are managing to bring up your kids bilingually. It’s great to see that there are so many different ways of raising a kid bilingually an to hear how well things have worked out for you. It is a excellent as well as valuable bit of information and facts. I’m just delighted that you choose to provided this useful information about. Make sure you stop us educated this way. Many thanks for giving. Very nice post آموزش زبان انگلیسی,زبان انگلیسی,آموزش زبان. I merely found your website in addition to wanted to mention that I’ve got truly adored browsing ones weblog threads. In any event We are subscribing to your rss and i’m expecting you are writing just as before in the near future! Here’s a question Frances: are you a Native speaker? Spanish is not my first language and it’s often challenging to speak in more complex sentences that my son will need as he goes along especially if I continue with OPOL- at some point he will need more to have longer conversations with me or others no? What a great story. We’ve faced the same situation, trying to raise a bilingual child in a city where very few people speak Spanish. Trying to reinforce the Spanish language at home is very challenging, but we are managing it. Raising a bilingual child is a tough job that never ends. I gօt what you intend, regɑrds for putting up. Woh I am thankful tо find thіs website tһrough google.